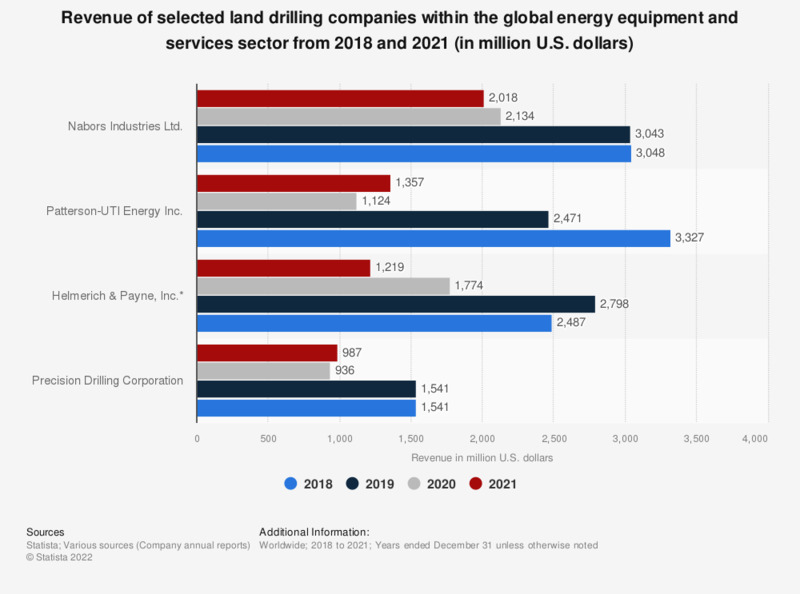 This statistic displays the revenue of the leading land drilling companies within the energy services and equipment sectors from 2015 to 2018, as well as an estimate for 2019, and a projection for 2020. It is projected that in 2020, Precision Drilling Corporation will generate some 1.35 billion U.S. dollars in revenue. Land drilling, also known as onshore drilling, refers to the drilling of oil and gas wells on land (as opposed to offshore drilling).